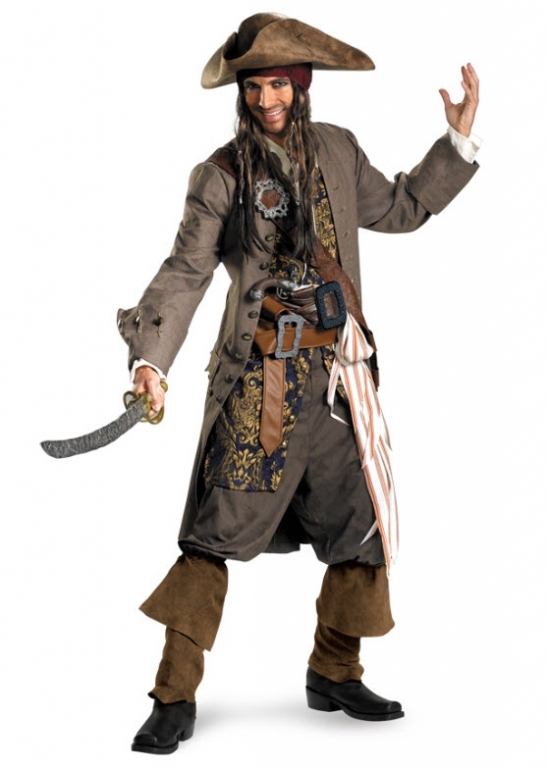 Blackbeard Adult CostumeSet sail for adventures! Elegant pirate wear specifically made for boarding only the most exclusive yachts! 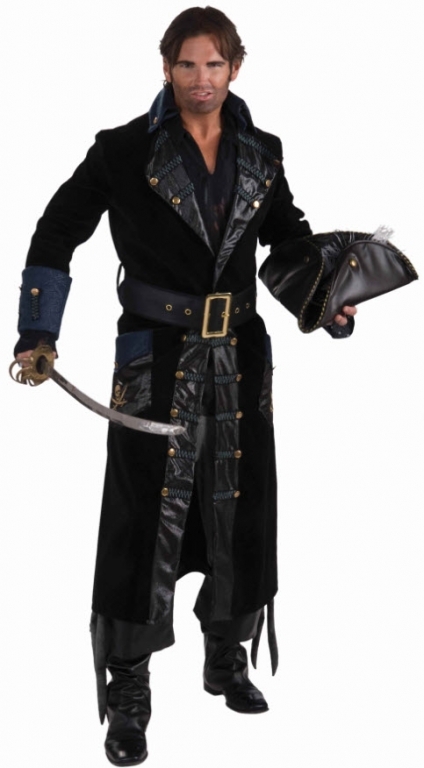 All black costume features leather-look hat with feather, shirt, coat with leather-look lapel and gold button accents, pants with leg ties, belt and boot top shoe covers. LEVER COSTUMES Blackbeard Costume and interesting games are what make a Halloween party fun. 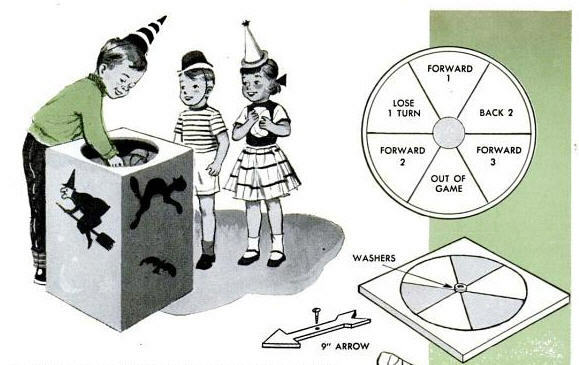 Here are three costumes that are bound to provoke comment and laughter, and a game alled the "spook race" that fits right into the witch-ghost-goblin atmosphere of this October celebration. Dimensions for the costumes can be changed to ccommodate youngsters of different ages.